I am an archaeological conservator, trained in Archaeological Conservation at the Institute of Archaeology, University College London (UCL). I am coming from an archaeological background-studied Classical Greek and Roman Archaeology- at Istanbul University, Turkey, and this is why I am particularly interested in the conservation and management of archaeological material -objects and buildings- since I find them very challenging because of the conditions and environments of which they manage to survive through, whilst presenting complicating conservation problems for us to solve in order to make them available for everyone. Before and during my conservation training, I volunteered and worked as a trainee conservator at several museums, projects and excavations both in London and abroad. After completing my MA in Principles of Conservation and MSc in Conservation for Archaeology and Museums at UCL, I started working at the British Museum (London) as a Ceramics, Glass and Metals conservator for almost 7 years. Recently, I completed a PhD research at UCL, while continuing with my practical conservation career. 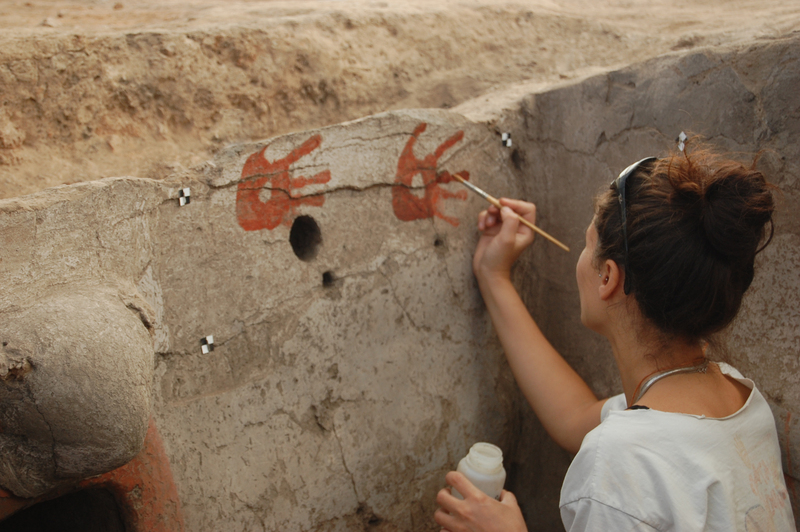 I studied the technical and social aspects of the 9000 year old wall paintings from the Neolithic site of Çatalhöyük (Turkey) where I also worked as a head conservator for 8 years. In the mean time, I work for various conservation projects at the British Museum (see Curriculum Vitae). My main interest areas are the conservation and technical/scientific investigation of archaeological materials, preservation of archaeological sites, and the site management, interpretation and display of archaeological materials both in the museum and site contexts.